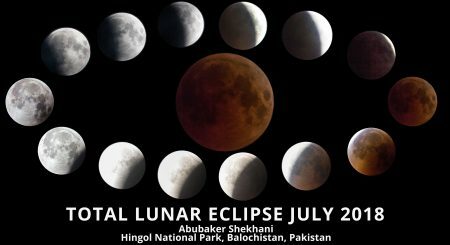 On 27th July 2018, it is going to be the longest total lunar eclipse of the 21st century. The totality spans 1 hour 42 minutes and 57 seconds. This night is a special one as planet Mars will be in opposition (that is closest to Earth) which will be its closest approach since 2003. The most wonderful thing about this night is that greatest Mars opposition and longest Total Lunar Eclipse, both Astronomical events are happening at the same night. When to observe in Karachi, Pakistan? This total lunar eclipse is visible in most part of the world. We are lucky that in Pakistan we will witness from the very beginning until the end of this wonderful event. 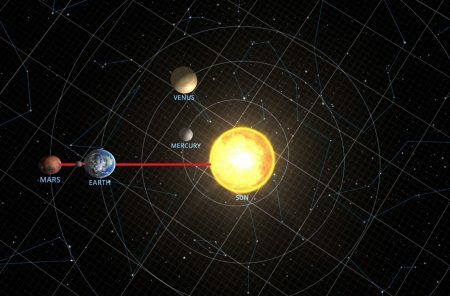 * The Moon is above the horizon during this eclipse, in fact, it will be almost overhead. If the skies are clear, it will be visible from Karachi. Total duration of the eclipse: 6 hours, 14 minutes. Total duration of the partial phases: 2 hours, 12 minutes. Duration of the full eclipse: 1 hour, 43 minutes. 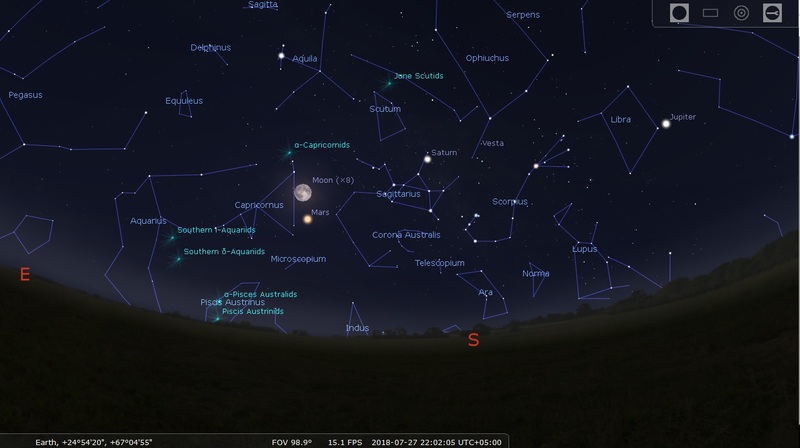 The Moon just before the Total Lunar Eclipse on 27th July with Mars at opposition (Stellarium). Follow my page for more updates about Total Lunar Eclipse. You do not need a binoculars or a telescope. Just clear skies! If you don’t own a Telescope, you can still observe it with your naked eye or maybe get a pair of Binoculars. You won’t regret it buying. Enjoy the Lunar Eclipse and do share your photos on my Facebook page. I have been practising Astronomy since 2007 and have been founder of multiple Astronomy related societies and clubs. You can read my contribution in Karachi Astronomers Society here. Mars opposition, when the Red Planet lies opposite the Sun in our sky, occurs about every two years. 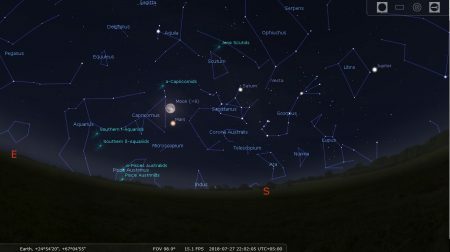 Mars opposition on 27 July 2018 will be near its closest approach to the Sun, making it the most favorable opposition for skywatchers since 2003. This video from NASA gives an excellent explanation of Mars opposition.